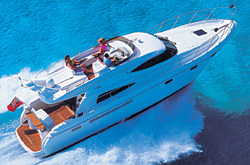 Royal Bay is the final word in luxury and status, and has become associated with the best that life has to offer. RJ ECO Homes has been able to negotiate favourable terms for Royal Bay Oroklin clients including capital and interest payment holidays. 1. The offers are promotional items supplied by RJ Eco Homes Cyprus Ltd and the Company reserves the right to amend or withdraw the offers at any time. 2. RJ Eco Homes Cyprus Ltd/Royal Bay Europe accept no responsibility for any failure on the part of other parties to provide these services/items. However, in the event that a third party fails to meet their obligations to provide these services/items, the Company will endeavour to replace the offer/item to at least the same standard. 3. The offers are part of the purchase of a property at the Royal Bay Oroklini development. The offer of the Golden Bay Health Club is based on a full price purchase. The developer is RJ Eco Homes Cyprus Ltd.
4. Any interpretation of these offers or resolution of disputes is vested solely in the jurisdiction of the Directors of RJ Eco Homes Cyprus Ltd.
1. Membership of the Golden Bay Health Club will be for a period of 3 (three) years. 2. Membership of the Golden Bay Health Club is provided as a Family Membership. 3. 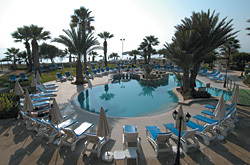 Membership rates and limits to usage are at the discretion of The Golden Bay Hotel. 4. Membership offer applies to residents only.